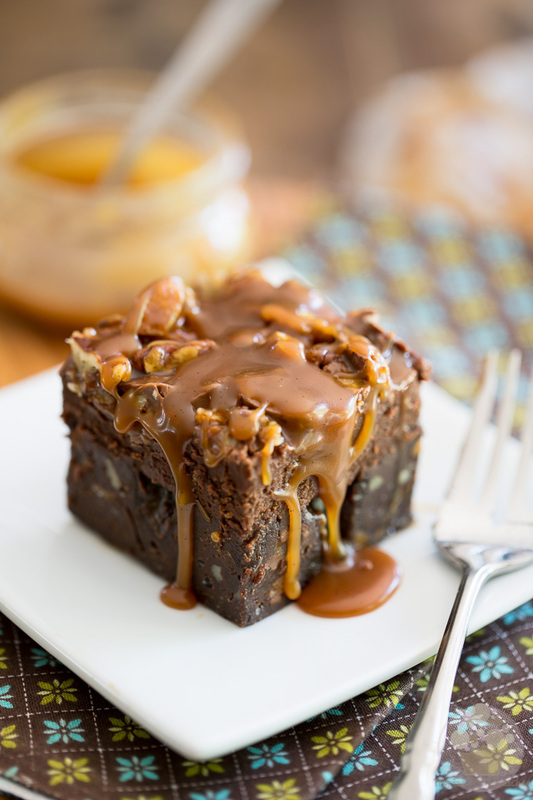 A fudgy and intensely chocolate-y brownie topped with a delicious caramel frosting, stuffed with loads of Turtles and pecans and oozing with caramel sauce. 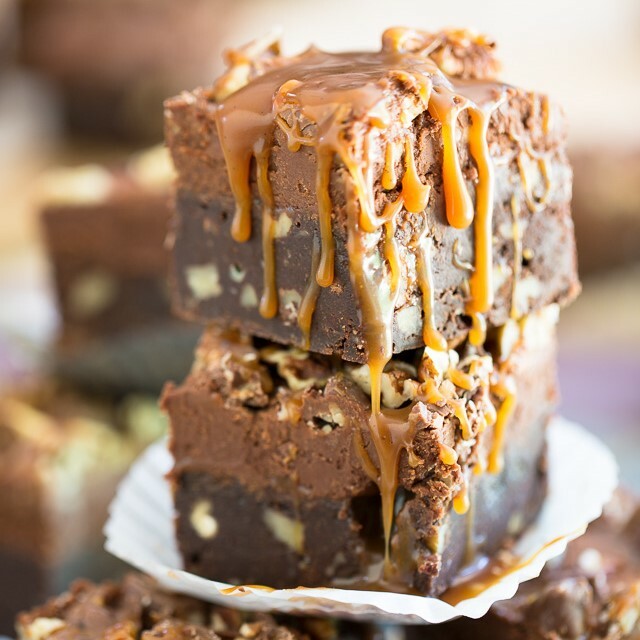 I think that the pictures pretty much speak for themselves and that I won’t need to say much to convince you that these brownies, they mean serious business and are NOT for the faint of heart! 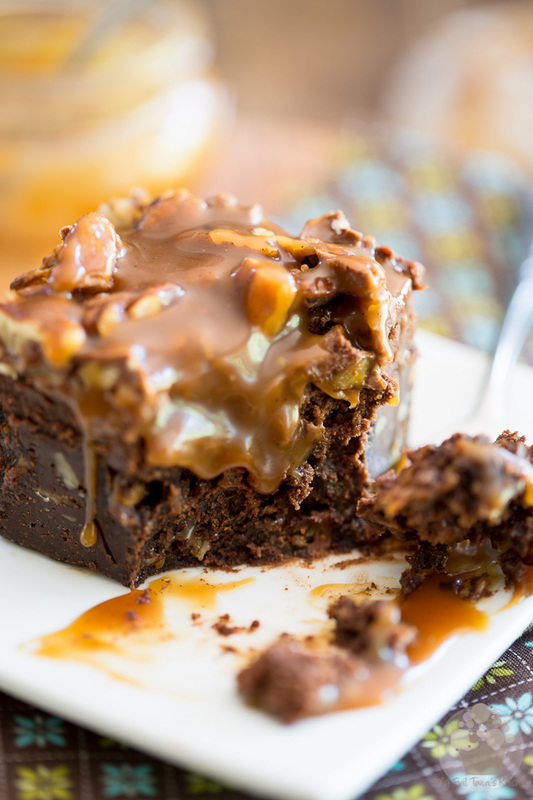 But still, let me tell you just a little bit about them… You’re looking at a SUPER FUDGY and intensely chocolate-y brownie stuffed with an avalanche of Turtles minis and pecans, oozing with the most heavenly salted caramel sauce and then topped with a wickedly delicious caramel frosting. 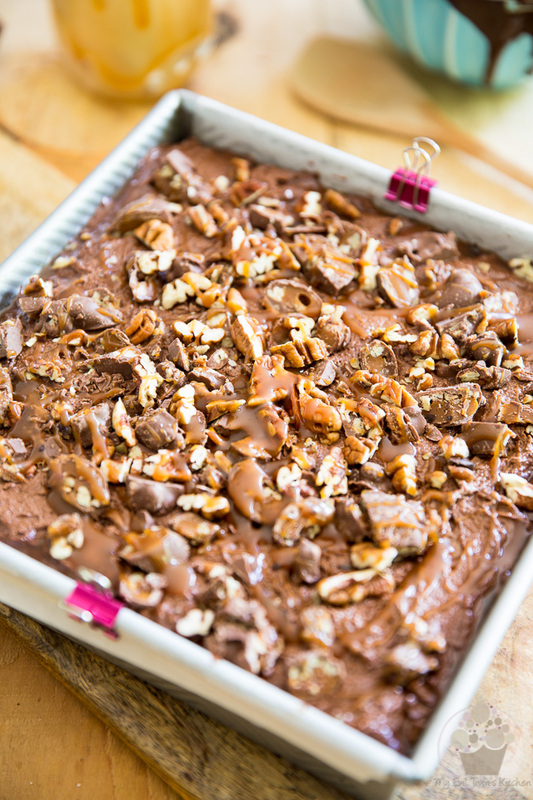 I’m telling you, these Turtle Poke Brownies, they’re an experience that your taste buds won’t soon forget! This totally decadent treat even lets you choose between two very distinct eating experiences: kept in the refrigerator, you’re looking at a really dense, heavy and chewy treat, which you can easily hold in one hand and eat with your fingers, while standing right next to the ice box. 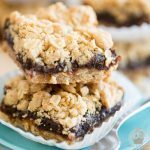 Keep them in the pantry though, and you’re suddenly sitting face to face with a soft, ooey and gooey delight that you’ll definitely want to be eating with a plate and fork. And be ready to get your sweet-o-meter pop straight through the roof, because in this state, you really get to appreciate the full range of flavors and level of sweetness that these beauties have to offer. Even if you *think” that your taste buds are well trained, I’m telling you, you better hold on to your hat! If that sounds more like the type of experience that you’re after, then by all means, you should store these babies at room temperature. Personally, I haven’t been able to decide which version I liked best. 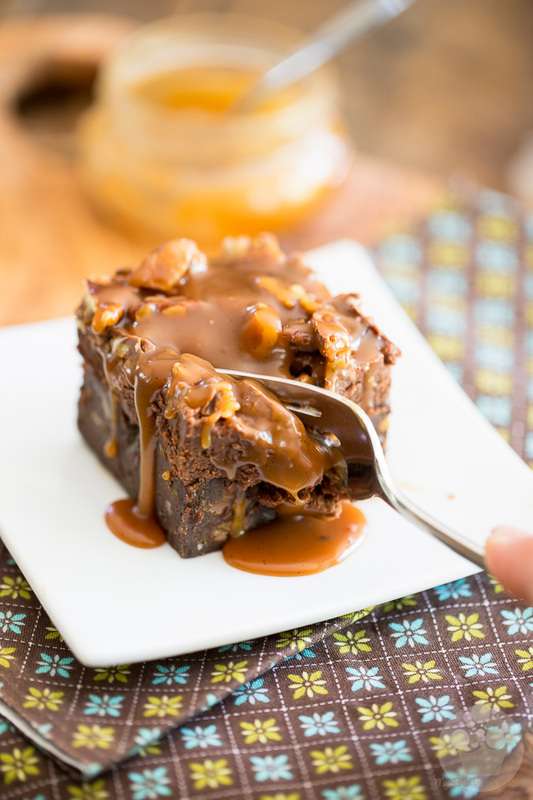 I’m totally all over the texture of chilled but I lean more towards the flavor of warm, especially after I’d drizzled them with even more caramel sauce. Hey, what can I say, I love my SUGAH! Now I can’t wait to find out which version YOU like best! 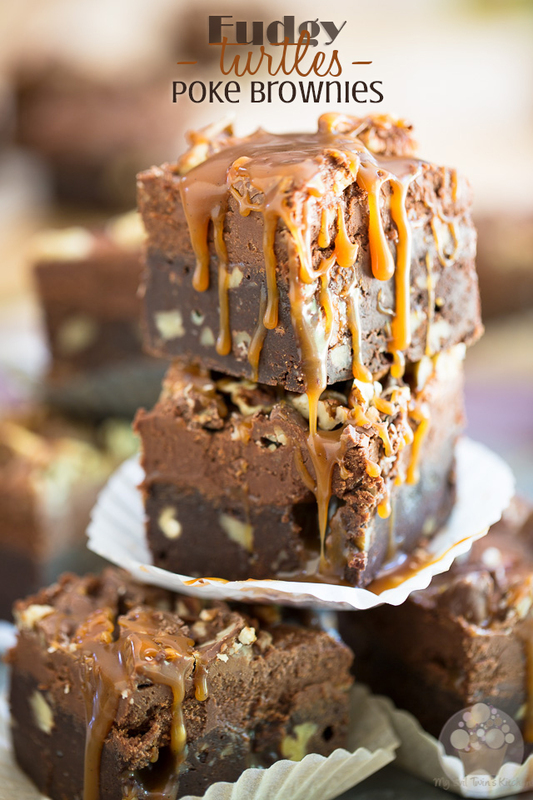 To make these brownies, you will need a full batch of my Salted Caramel, although you could use store-bought if that was easier for you or if you had a favorite one that you’d really like to use. If you’re gonna make your own, I strongly suggest that you make it a little bit ahead of time so it has a chance to get down to room temperature before you use it. You could even make it the previous day (or week, why not) and then let it slowly get back to room temperature or pop it in the microwave to help it get there. Preheat your oven to 350°F. Grease a 9” square baking pan and line the bottom with parchment paper, leaving a bit of an overhang on either side for easier unmolding. 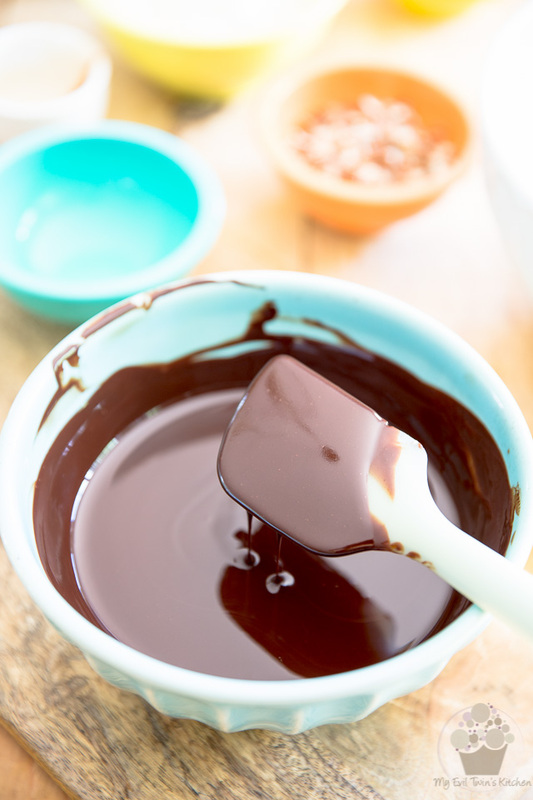 And if you want to prep all your ingredients before you start your brownie batter, feel free to refer to the above picture as a visual help! 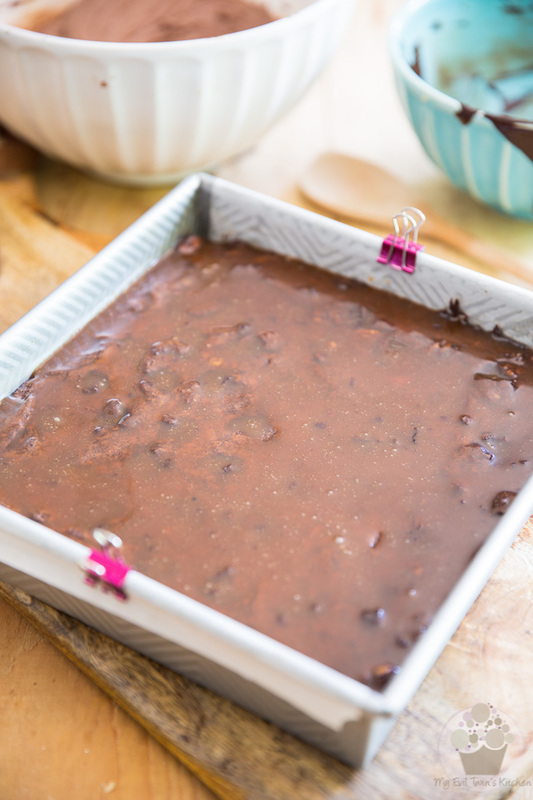 Combine the finely chopped chocolate and butter in a large microwave-safe bowl and place that in the microwave for 1 minute. Allow to rest for 1 full minute and then stir for 1 minute. Continue doing that until the chocolate is smooth and completely melted without feeling hot to the touch. If you let that chocolate get hot, it would cook the eggs when it comes in contact with them. Just let it get hot enough so all the chocolate gets completely melted. When that’s done, if you haven’t already, dilute the coffee granules (if using) in the hot water and stir in vanilla and salt. About that instant coffee, while it’s not absolutely mandatory that you use it, I strongly recommend that you do. Fear not, it will not pass on any of its flavor to the brownies. Rather, it will greatly deepen the flavor of the chocolate, making your brownies EXPLODE with a crazy rich and intense chocolate flavor. Immediately throw in the coffee/vanilla mixture that you just made. Mix with a fork until just until combined, no more. You do not want to overmix this mixture, as you do not want to incorporate air into those eggs. … and delicately stir it in until well combined. …and fold it in with a rubber spatula until just combined. 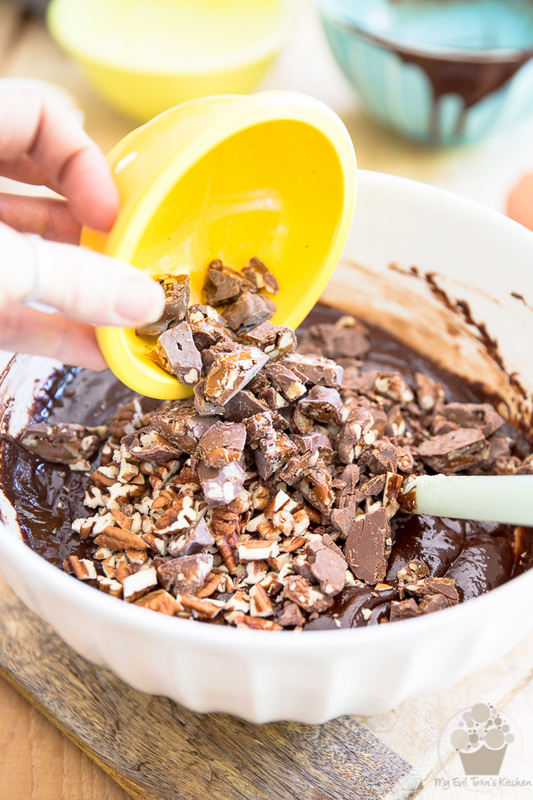 Fold in chopped Turtles minis and pecans, mixing once again just until combined, no more. …and spread to an even thickness, all the way to the edge. Bake the brownies for 32 to 35 minutes, or until the edges are firm to the touch but the center is still somewhat soft. Do not over-bake: these babies are already dense enough as it is! 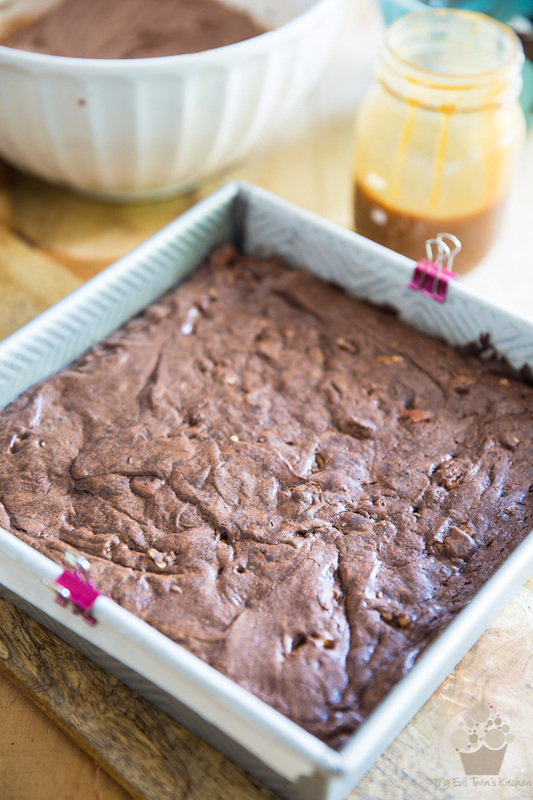 Take the brownies out of the oven and let them cool for at least 5 minutes. 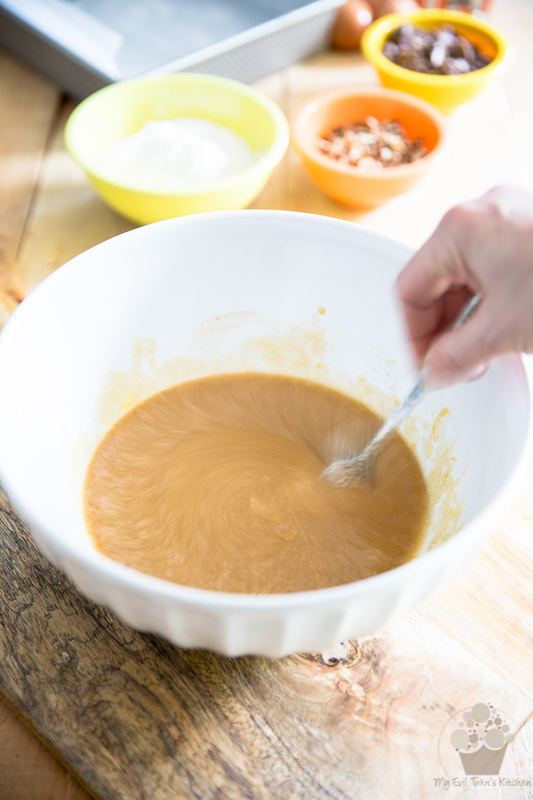 Combine the salted caramel and butter into a large mixing bowl. 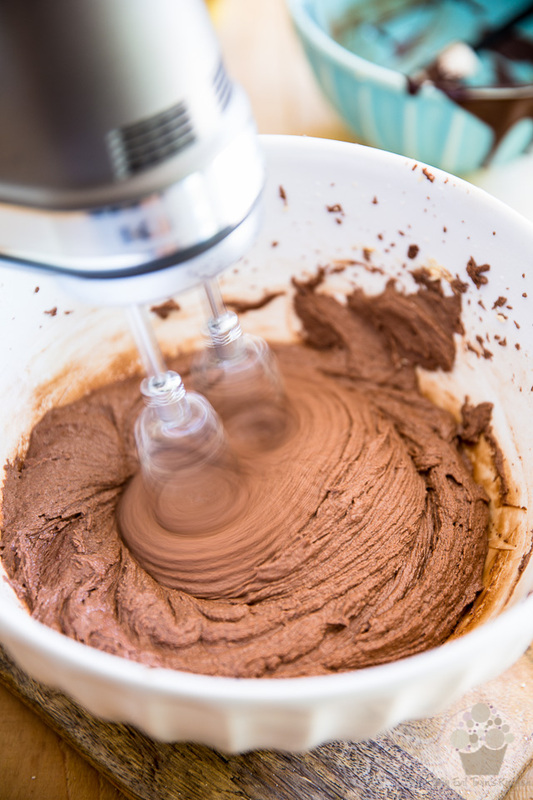 Mix on high speed with an electric mixer until light and fluffy, 2 to 3 minutes. Add the powdered sugar and resume mixing, on low speed this time, until the icing starts to come together. Then, increase the speed to medium and beat until smooth and creamy, about 1 minute. 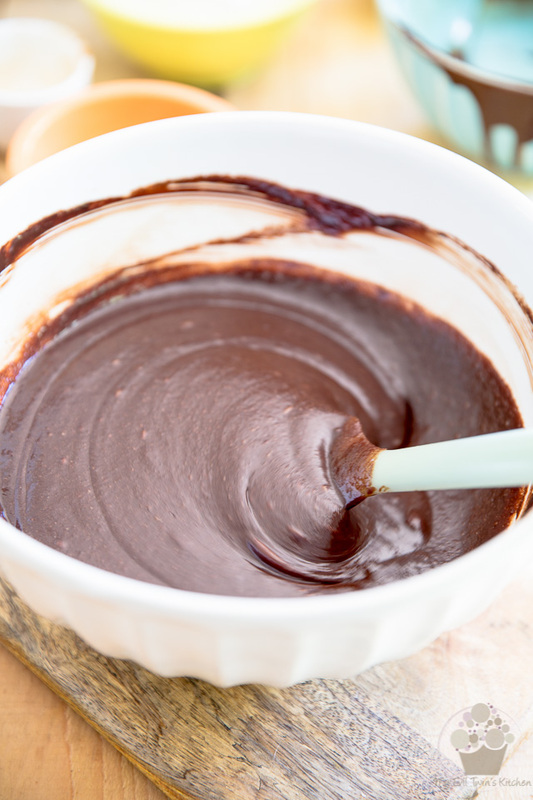 To melt the chocolate, you can use the exact same microwave technique that you used previously when you made the brownie batter. 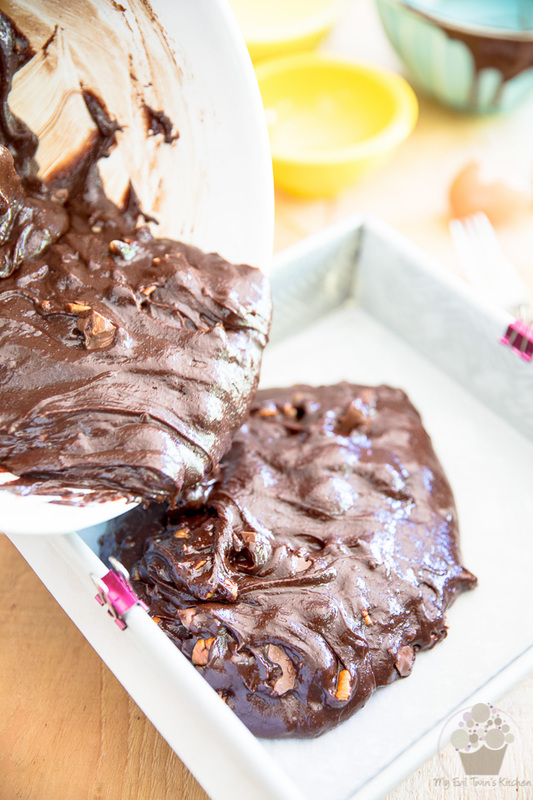 It is by far my favorite method for melting chocolate! Beat that melted chocolate in without delay, on medium speed, until well combined. At this point, if you find that your icing is too stiff to your liking (it needs to be a beautiful soft, easily spreadable consistency) add a little bit of heavy cream or whole milk, a teaspoon at a time, and mix well with the electric mixer on medium-high speed between each addition, until you get your icing to the desired consistency. 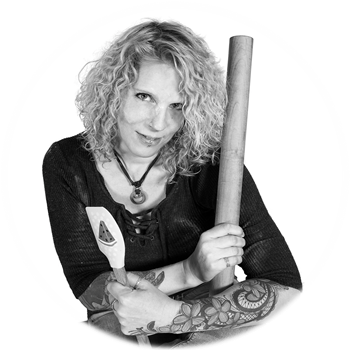 Using the round handle of a wooden spoon, poke a series of holes across the top of the brownies. Don’t go all the way to the bottom, though; you want to stop about 3/4 of the way through. …and spread it with a spatula, helping it down the holes as you go. When all is said and done, only a very thin layer of caramel should remain visible on the surface. 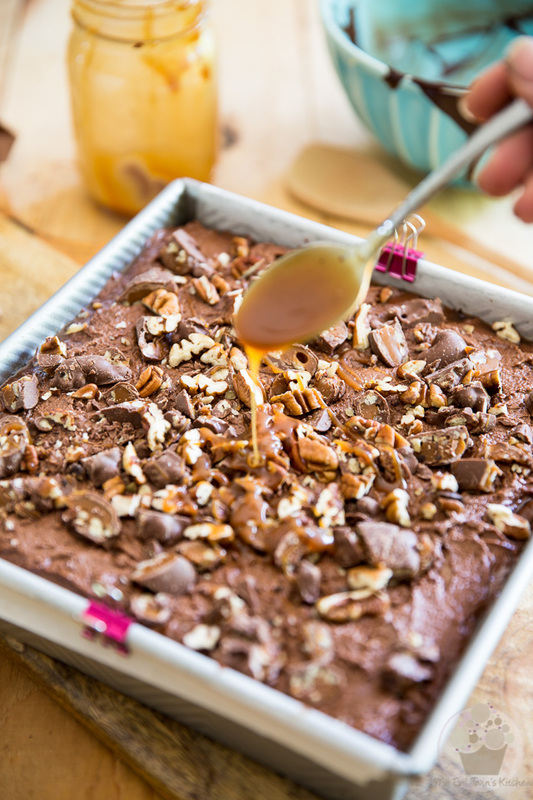 Drop the frosting by the tablespoonful over the thin layer of caramel. 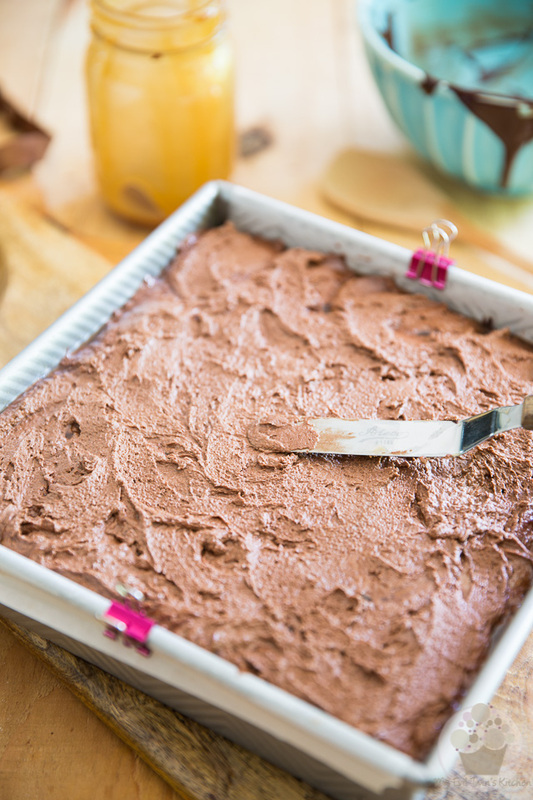 Once all the frosting has been dropped over the brownies, spread it very delicately with a spatula to evenly cover the entire surface. Be very gentle when you do that: try and disturb that frosting as little as you possibly can. 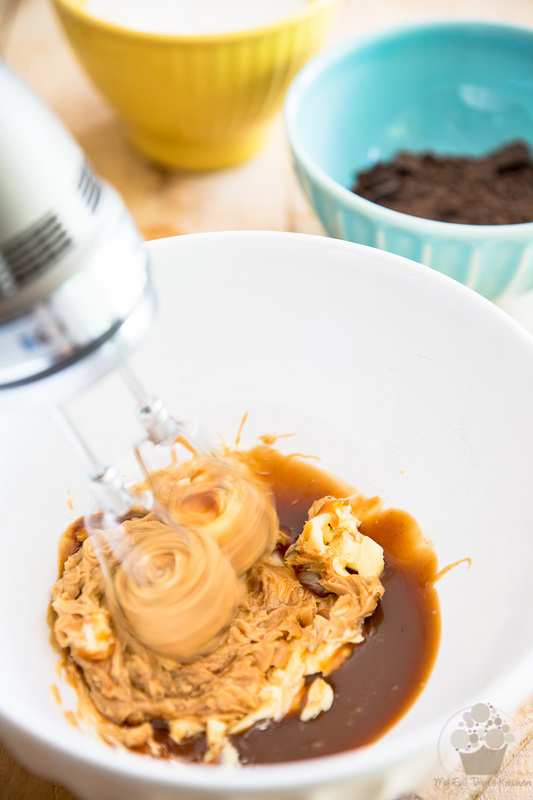 …and then drizzle a little bit more of that decadent salted caramel. 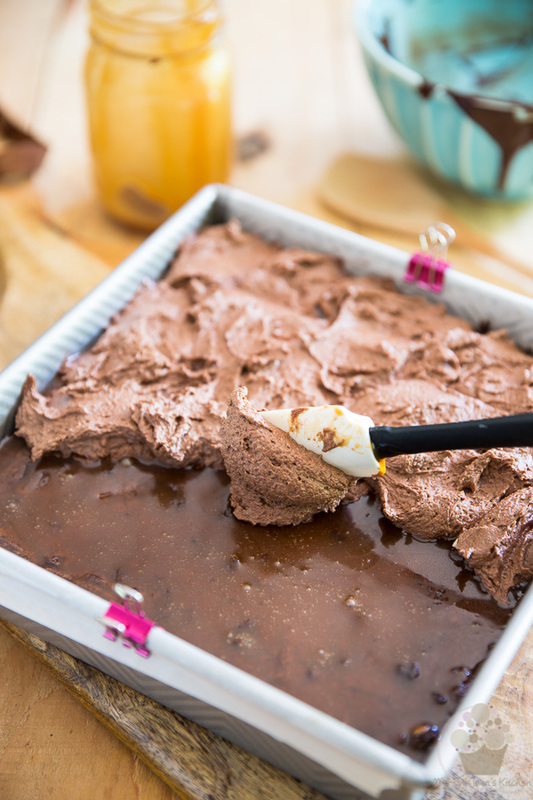 Refrigerate your brownies for at least 2 hours before you attempt slicing them. I suggest that you use a sharp chef knife to do that, and that you cut them into AT LEAST 16 bars. 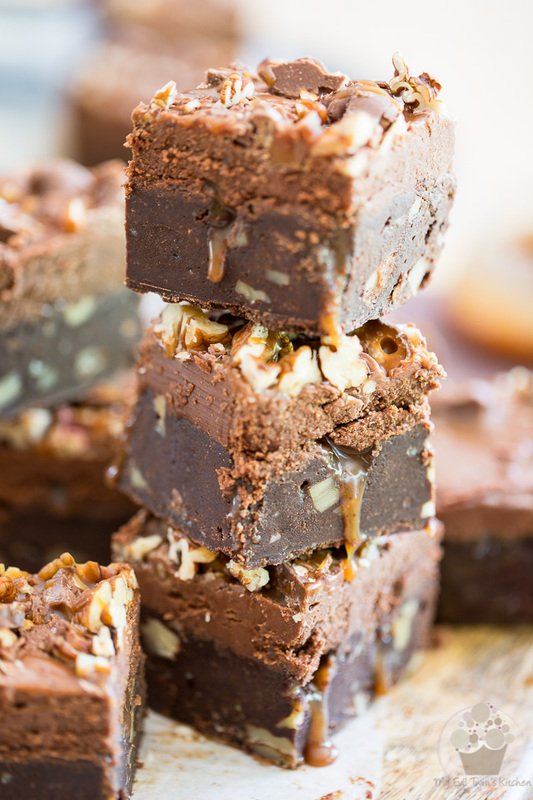 These brownies are extremely rich and intensely sweet. Trust me: a little goes a VERY long way! 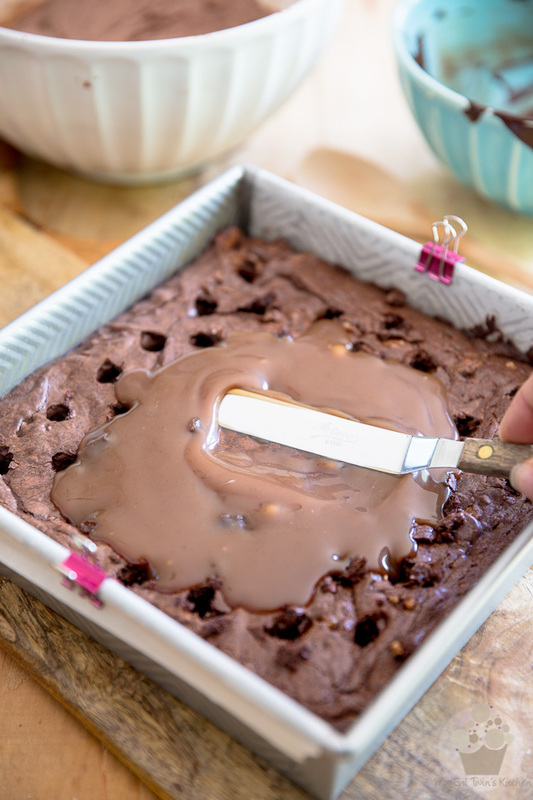 Now, if you were to leave your brownies in the fridge for an extended period of time before slicing them, you may find that they are very tricky, if not darn impossible to slice. I’m telling you, these babies are DENSE! I strongly suggest that you let them warm up just a tad and then your task will be much easier. 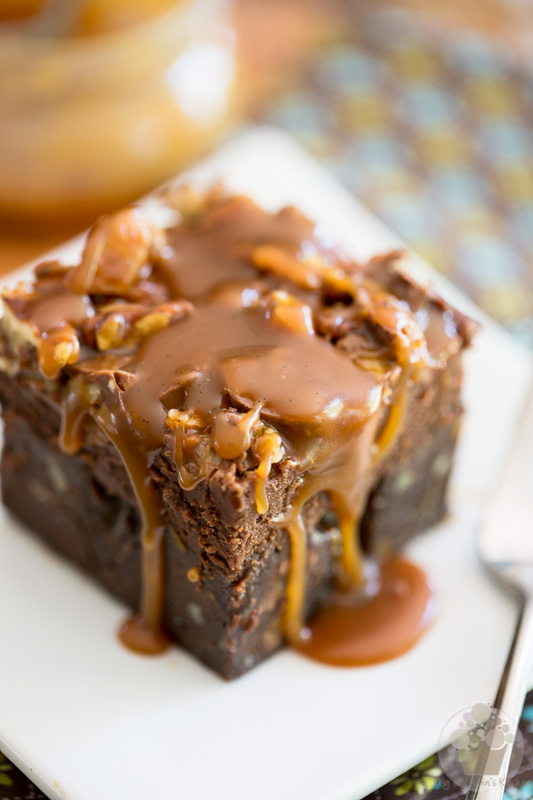 And if that wasn’t enough for you, feel free to drizzle even more of that caramel over the brownies, at the moment of serving. Surely you have a little bit left, don’t you? If you’re gonna do that, though, I strongly recommend that you use a fork and plate to enjoy your heavenly treat…things will be a lot leas messy that way! 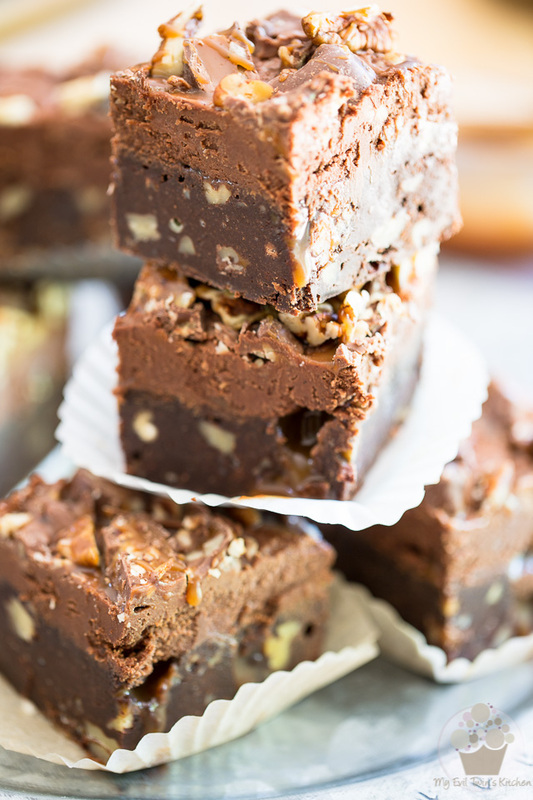 Store the finished brownies in the refrigerator for an intensely dense and chewy treat that you can easily eat with your fingers, or in the cupboards for a soft, ooey and gooey delight that you should definitely enjoy out of a plate. Whichever way you choose to go, you’ll be able to keep them there for about a week in an airtight container, if they last that long! Combine the finely chopped chocolate and butter in a large microwave save bowl and place that in the microwave for 1 minute. Allow to rest for 1 full minute and then stir for 1 minute. 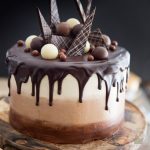 If there are still lumps of unmelted chocolate left after that, repeat the process but for 30 seconds this time, and continue doing that until the chocolate is smooth and completely melted without feeling hot to the touch. If you let that chocolate get hot, it would cook the eggs when it comes in contact with them. Just let it get hot enough so all the chocolate gets completely melted. 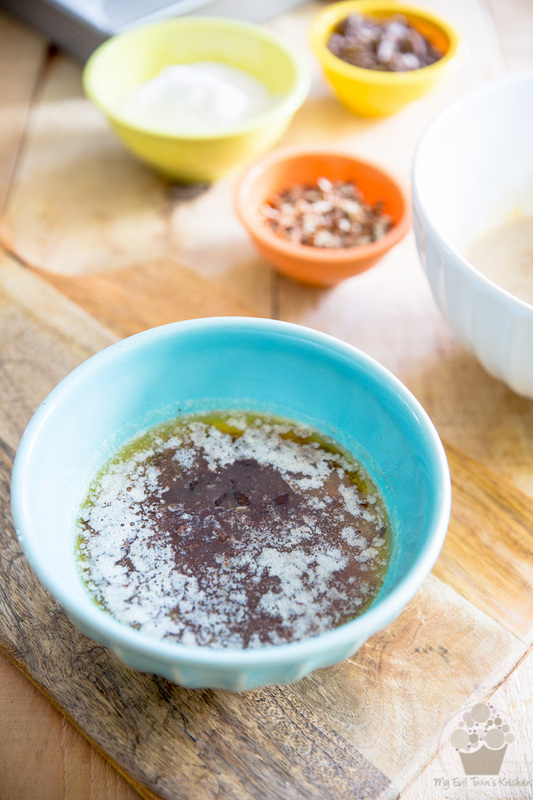 In a small bowl, dilute the coffee granules (if using) in the hot water and stir in vanilla and salt. 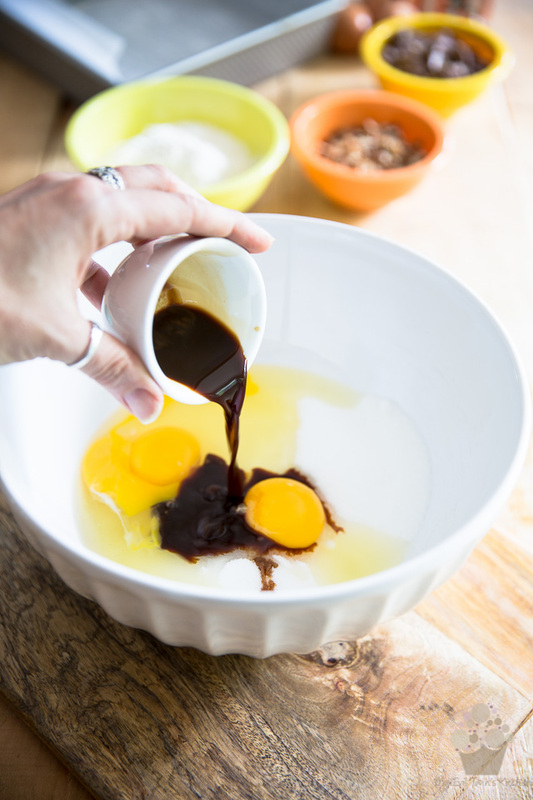 In a separate large mixing bowl, put the sugar and eggs and then add the coffee/vanilla mixture you just made. Mix with a fork until just until combined, no more. 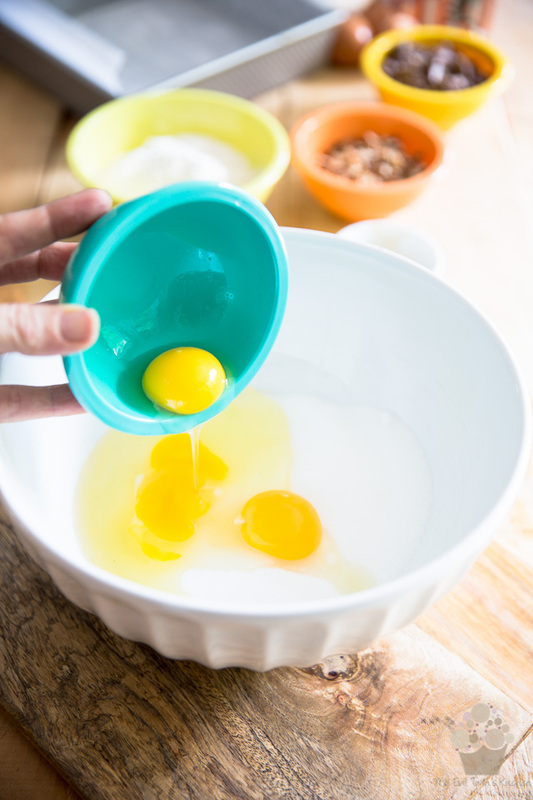 You do not want to over-mix this mixture, as you do not want to incorporate air into those eggs. 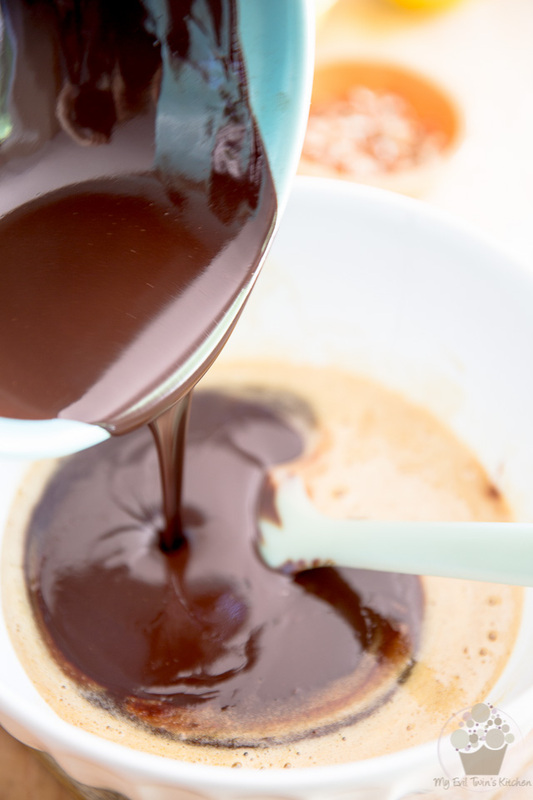 Delicately stir in the melted chocolate mixture. 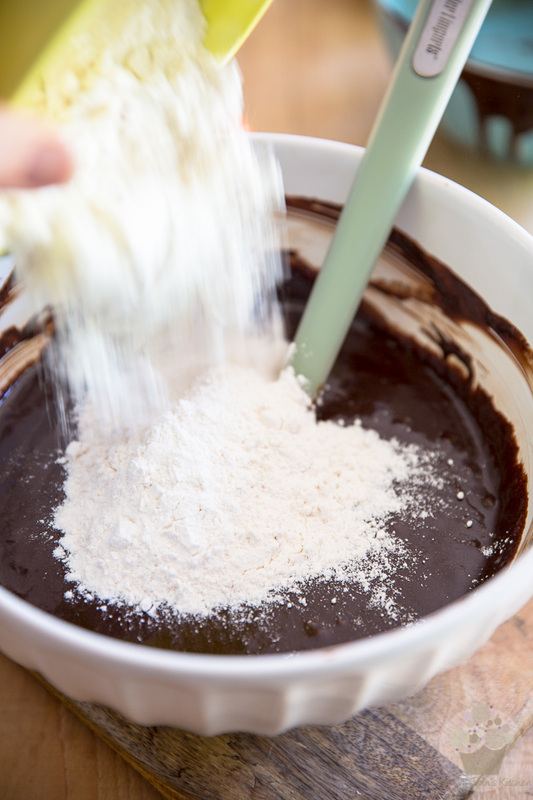 Add the flour all at once and fold it in with a rubber spatula until just combined. 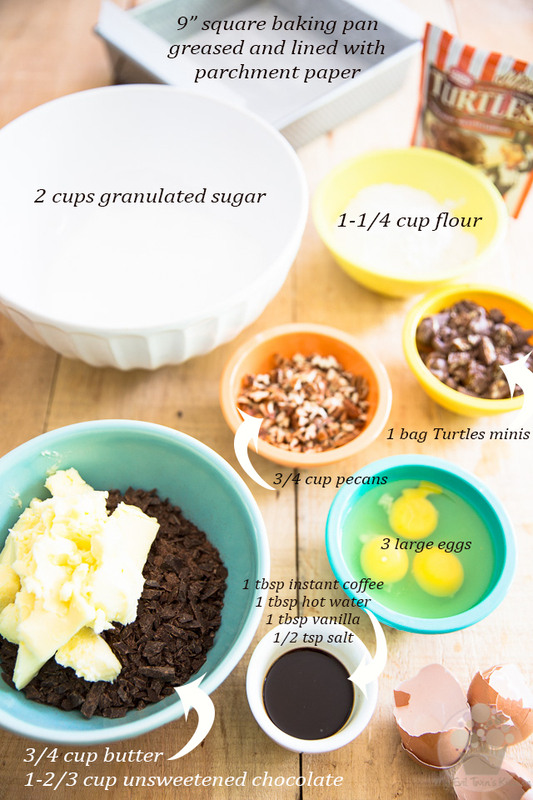 Fold in chopped Turtles minis and pecans, mixing once again just until combined, no more. Pour the batter into the prepared pan and spread to an even thickness. Bake for 32-35 minutes, or until the edges are firm to the touch but the center is still somewhat soft. Do not overbake! 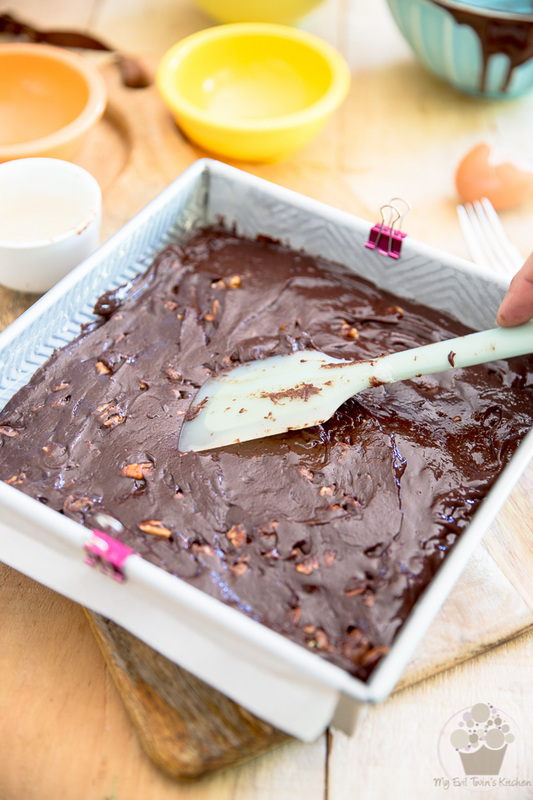 Take the brownies out of the oven and let them cool for at least 5 minutes. 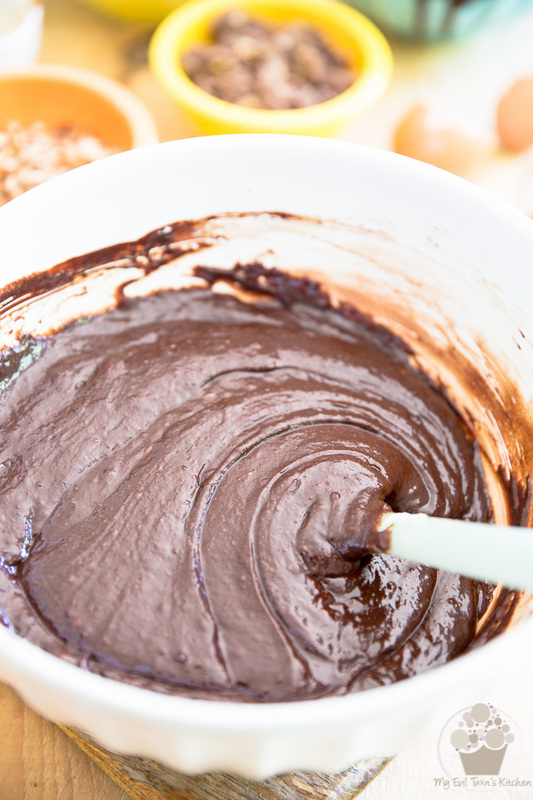 While the brownies are in the oven, make the frosting. 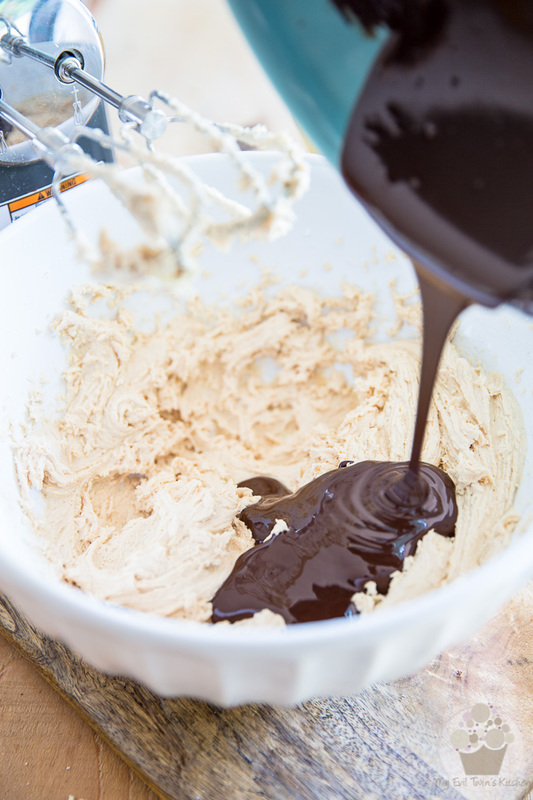 Combine the salted caramel and butter into a large mixing bowl. 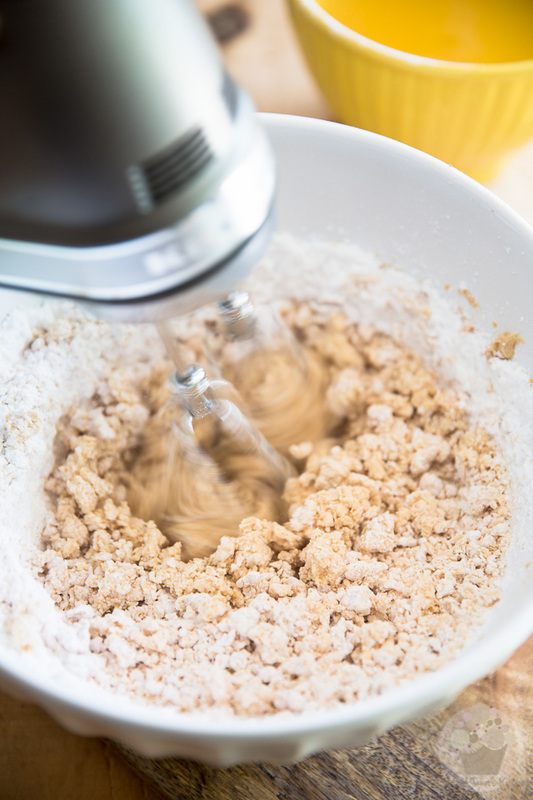 Mix on high speed with an electric mixer until light and fluffy, 2 to 3 minutes. Add the powdered sugar and resume mixing, on low speed this time, until the icing starts to come together. Increase speed to medium and beat until smooth and creamy, about 1 minute. 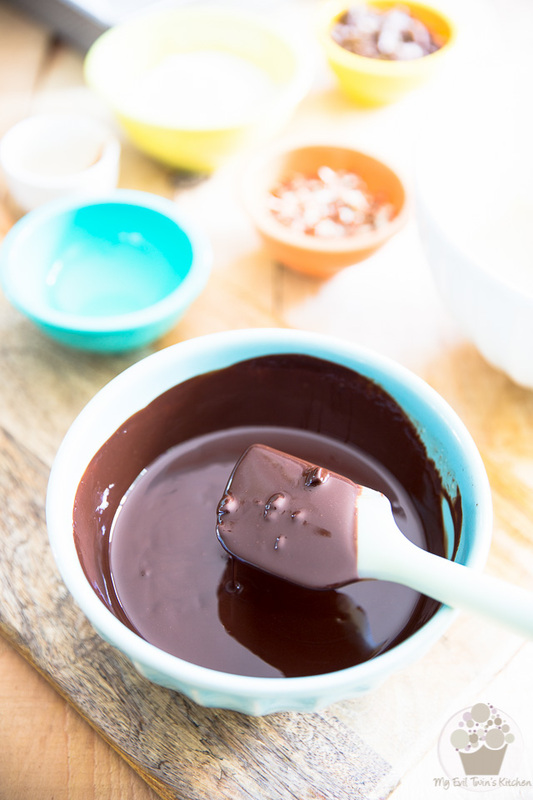 Pour in the melted chocolate and beat on medium speed until well combined. 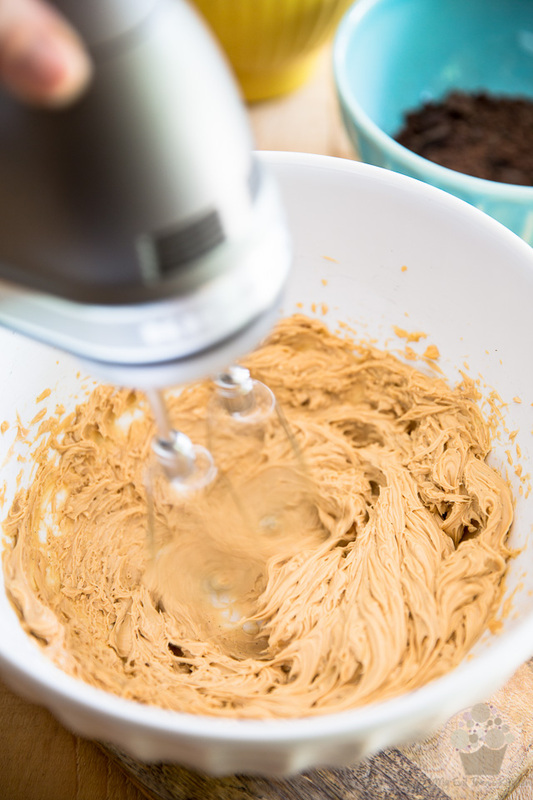 If you find that your icing is too stiff to your liking, add a little bit of heavy cream or whole milk, a teaspoon at a time, and mix well with the electric mixer on medium-high speed between each addition, until you get your icing to the desired consistency. 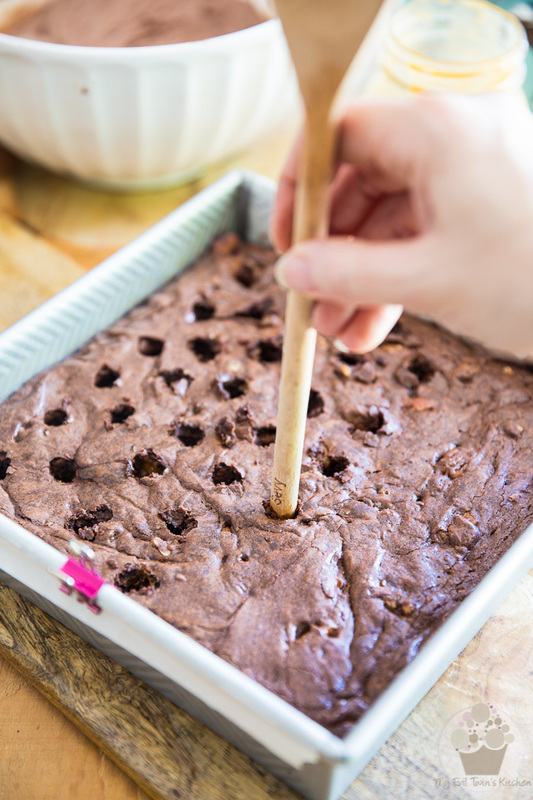 With the round handle of a wooden spoon, poke a series of holes across the top of the brownies. Don't go all the way to the bottom, though; you want to stop about 3/4 of the way through. 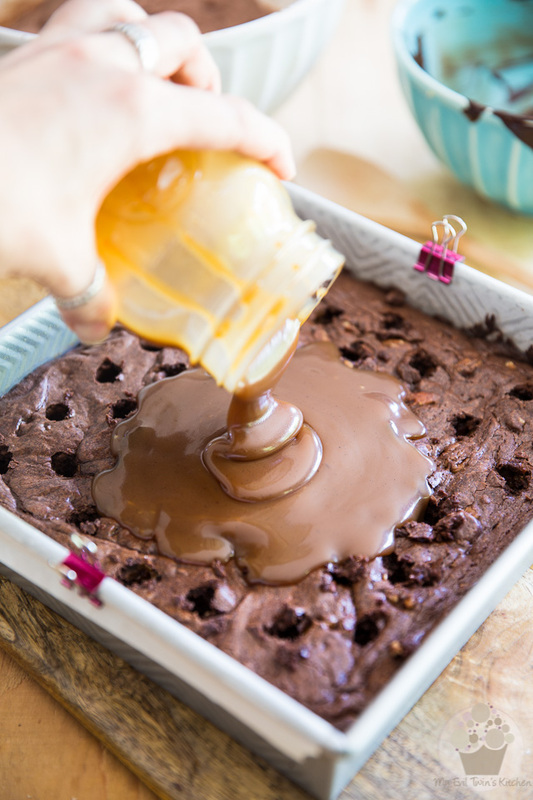 Pour 1 cup of salted caramel over the surface of the brownies and spread it with a spatula, helping it down the holes as you go. Only a very thin layer should remain visible on the surface. 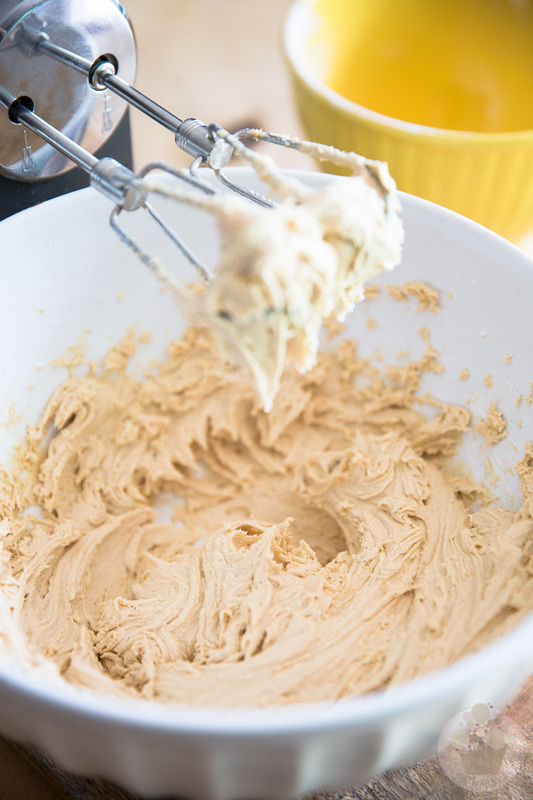 Drop the frosting by the tablespoonful over the thin layer of caramel and then delicately spread it with a spatula to cover the entire surface. 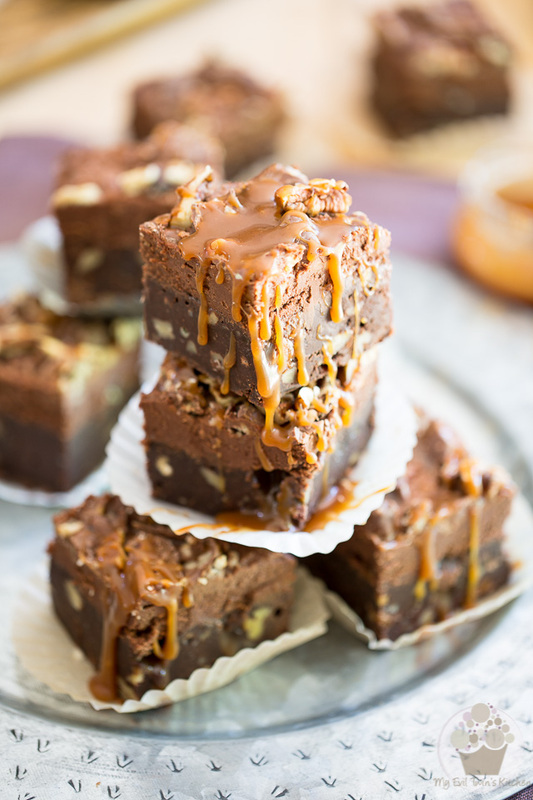 Sprinkle with the chopped Turtles minis and pecans, then drizzle with a little bit of salted caramel. Refrigerate for about 2 hours for cleaner slicing. If you leave them in the fridge for too long before slicing, you might find that these brownies are almost impossible to slice. Let them warm up just a tad and your task will be much easier. Store the finished brownies in the refrigerator for an intensely dense and chewy treat or in the cupboards for a soft, ooey and gooey delight. 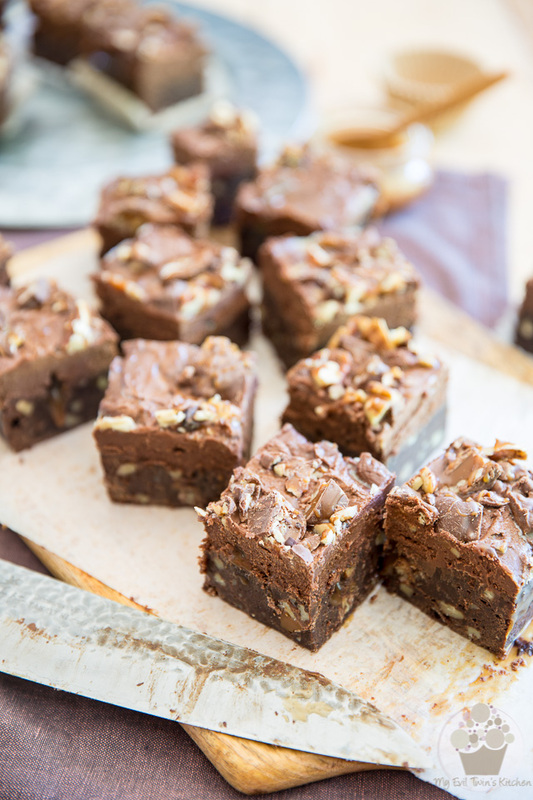 *You will need one full recipe to make these brownies. I suggest you make it the previous day, or at least a couple of hours ahead of time to allow for cooling. I am going to make this when my sisters are visiting at christmas (bookmarked for christmas baking already!). Reason: make this alone and it will be eaten until I am sick. You must have iron will. 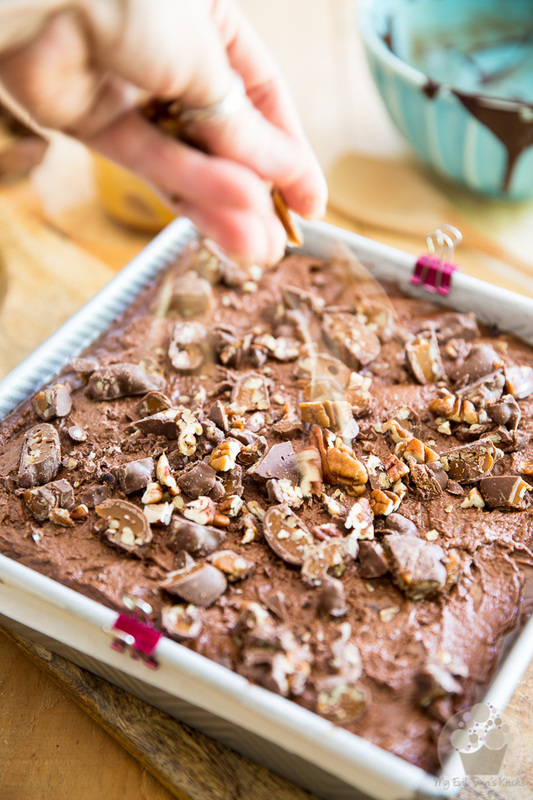 Another amazing recipe… I can’t believe you were hiding this baking talent for so long! Sonia… your pictures are beautiful!! They literally make me want to eat dessert for breakfast (as it is 6:30AM here! lol) Definitely pinning this recipe. and I would have to say…. chilled and room temp–you can never go wrong with chocolate and caramel 🙂 So happy to have found your site! Thanks for dropping by, L.B. and thanks for your kind words, too! I take that as a huge compliment! Holy stinking delicious. 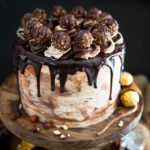 What a beautiful way to celebrate World Chocolate Day! I cannot wait to give these a try! 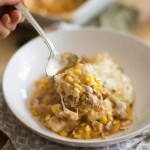 This recipe makes me want to weep with sweet joy. Omghersh. I don’t even LIKE chocolate and I want this in my belly! Turtles are one of my moms favorites and for her, the sweeter the better, so you KNOW I’m gonna have to make these for her.